Dreaming of Rare & Exotic Treasures from the Homelands of the Egyptian Arabian Horse? Make All your Dreams Come True at Our Showcase Auction! This year’s Showcase Auction items at the 2018 Egyptian Event represent a unique opportunity for lovers of the Egyptian Arabian horse. Saddles, jewelry, veils, daggers and camel and horse trappings are just some of items on offer, along with our wonderful selection of items donated by our loyal members and artists! 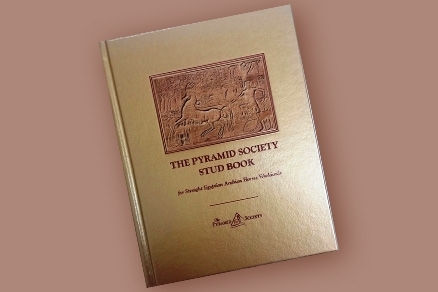 Don’t miss this Opportunity to Bid on Select Ethnographic Items from the private collection of The Pyramid Society prior to the Event! If you are attending the Egyptian Event, visit us at the Art Auction Booth in the main arena and remember that the Showcase Silent Auction ends 12:45PM EDT Saturday, September 1st. For those who are unable to attend, don’t miss our special opportunity to place your maximum bid on select ethnographic items until 5 PM EDT August 28th.